Bold colors are very-in these days. Whether you use bold colors in your makeup or in clothes, most of the women prefer bold colors. 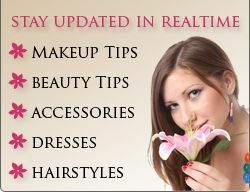 Among bold colors for makeup, pink, red, green and blue have become hot favorite for many makeup artists. Many celebrities, models are wearing these colors in their makeup and they do surely look dead gorgeous. Pink color for lips looks cool and very fashionable. Not only models and celebrities wear this color but ordinary women too have started wearing it. But this color should be used in makeup with extra care. You should apply pink lipstick in such a way that you look beautiful and not unattractive. Keep in mind that focal point of your face has to be your lips. So, keep every other thing as light as possible. Apply foundation and concealer normally only so that the skin tone of the face looks similar. Don’t use bright and loud colors for eye shadow as then the attention will be divided between eyes and lips. Also makeup fundamental says that only one from eyes and lips should be highlighted and not both. But you can apply two coats of mascara to make your eyes look good. You can apply blush but of cream or very light brown color to give your face a natural look. When you are choosing pink lipstick make sure that color of any other makeup product should not be pink as everything matchy-matchy doesn’t look good. There are many colors available in pink lipstick. You have to be very careful while choosing the right color. If your skin tone is light then you can go with medium or dark pink lipstick but if your skin tone is dark then choose dark pink color only. Light pink color is not very attractive and so should not be opted. Among pink shades, neon pink, fuchsia pink, ultra pink and hot magenta look very good when chosen for lipstick. Pink matte lipsticks look very good and are mostly chosen. You can also apply lip gloss over lipstick for some shiny effect. When applying lipstick, make sure that you apply two coats of lipstick so that it stays for longer time on the lips. Apply lip liner of same color as that of lipstick to properly define your lips. If you are wearing pink lipstick, make sure that the clothes you wear should not contain pink color in them as this can destroy the whole effect of pink lipstick. Keep in mind that centre-of-attraction should be your lips. Choose the pink shade carefully and apply with extra care. If you do everything perfectly, you will surely look gorgeous and everyone else will surely complement you for your beauty.